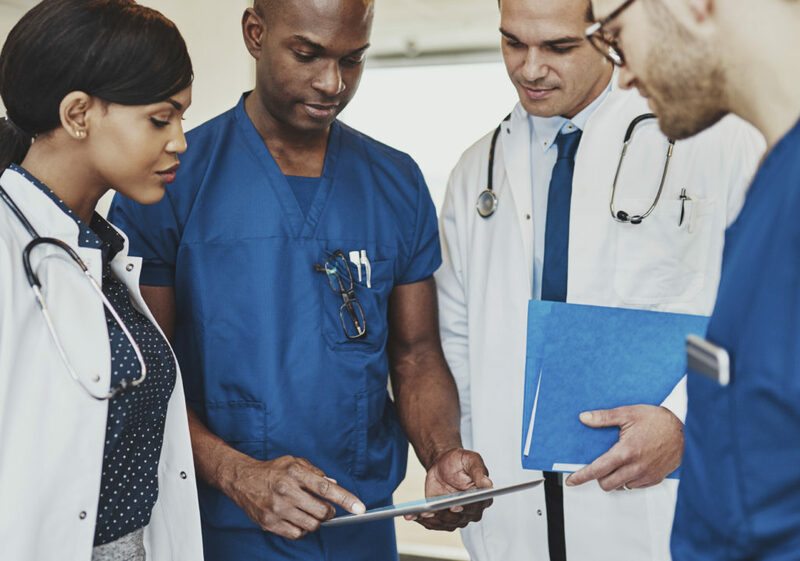 The planning, strategy, and execution of a strategic growth plan can be daunting for any size healthcare organization. Most healthcare groups need assistance from one or more outside partners for various aspects of the process. Your choice in partner(s) is a big one and is not something to jump into hastily: contracts can make up a significant portion of your budget and onboarding is long and time-consuming. Flexibility Based On YOUR Needs and Market Changes: In a healthcare ecosystem where change is the only constant, you need a partner who is nimble, creative, and has an in-house team capable of adjusting with your evolving needs. Talk to potential market intelligence partners about how they track and respond to market trends. Ask questions to determine their adaptability to meet needs that are unique to your organization—both the needs you are aware of today and needs you anticipate for the future. Gain a thorough understanding of their data process—how they clean, sort, and manage information to keep pace with quarterly updates. Find out if there will be any delays in releasing state data and ask questions about their processes for modeling market data. Additionally, it is important to work on a platform where different users within your group have easy access to relevant information. For example, does the platform allow analysts to run custom queries, managers to create custom reports, and the C-suite to review high-level results, all within the same system? Software and Development: How robust and dependable is your potential partner’s software? Is their backend platform maintained by developers and engineers focused on industry best practices? You should not necessarily expect the customer-facing interface to change frequently. However, regular and useful tweaks will help ensure the platform is prepared to handle the constant change referenced above. Additionally, consistent updates indicate a team that both understands current software trends and cares about building a great product. A focus on improving your experience with the software suggests the partner is engaged and excited about providing the best service in other areas, as well. Is your Analytics Partner poised for strategic growth? Read our white paper on finding the right strategic growth partner. Were data sets updated quarterly? Was the vendor able to adapt as needs and requests changed? Did the vendor provide creative solutions rooted in data? If the reference hesitates at any of these questions, you should probably take note; this may not be the right vendor for you. Be careful not to lock your organization in with a team that cannot walk you through your whole growth process. Be sure they have the capability and willingness to evolve alongside you. Data Handling: Does your prospective partner let you see behind the curtain—sharing the full story of their data process? Making decisions off of false or mis-modeled data can lead to costly missteps including the distribution of inaccurate marketplace reporting or the investment in the wrong leads. Look for a partner who will provide access to real data, not projected, modeled, or mis-modeled data.If your planning calls for future modeling or projections, look for a partner who employs a transparent approach rather than the typical “black-box” methods, where undefined formulas and algorithms are applied to create estimations about future growth, a method used by many vendors in the market. With a more transparent method, you’ll have a complete understanding of how conclusions were drawn, giving you more control and insight to help make the best strategic decisions. Compatible Values: Your vendor relationship should have all the aspects of a true partnership—collaboration, open communication, and aligned goals. You need a partner who is aligned with the human side of your business. Be upfront about your preferred communication style and your expectations so that they can accurately articulate how they would interact with and support you. Developing this kind of rapport from the beginning means moving beyond sales discussions about features and pricing, and into conversations about productive and fruitful relationships. Ask about the history of the organization, including the genesis story and background of the founders. Get to know the sales and marketing reps and ask about their work experience. Same goes for account managers who will be handling your project. Another important, though sometimes difficult, question to ask is how your prospective partner deals with mistakes and breakdowns. Problems are inevitable, so make sure you will be able to work through them openly and efficiently. Ultimately, even a great vendor “on paper” may not be the right fit for your organization. A mismatch in cultural values, a slightly different philosophy on growth, or a misalignment of expertise may be reason enough to decline the opportunity for partnership. These discrepancies can cause friction in a partnership down the road. Spend time working through each of the above points and reduce the risk of a problem cropping up at a critical juncture in your growth plan execution. Taking the time to thoroughly vet a partner could save you precious hours and money down the line. If you’re interested in learning more about how Stratasan can help with strategic growth initiatives, read through our recent white paper about switching analytics partners here. If you need help with your strategic growth planning process, email us at sales@stratasan.com. Connect with Stratasan on LinkedIn or follow Stratasan on Twitter and Facebook.